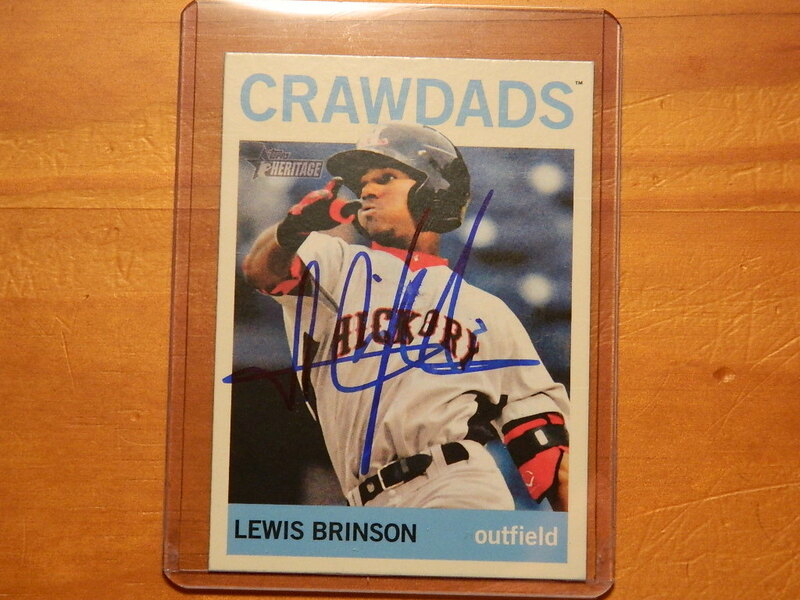 A former first round draft pick back in 2012, and currently ranked as the number 65 prospect in all of baseball, Lewis Brinson has a very bright future ahead of him in the minds of many people around the baseball world. At just 21 years old, Brinson has zipped through the minors, making it all the way to Triple-A in 2015. This past season, Brinson combined to hit .332 to go along with 20 homers, 69 RBI’s and 18 stolen bases. Brinson truly has a number of tools that will ultimately take him to the big leagues as soon as 2016. A.J. Reed had one of the best seasons, if not THE best season, in all of minor league baseball in 2015. As if hitting .340 over the course of 523 at-bats isn’t enough to make you look at Reed as a future big league, he also was able to blast 34 homers while racking up 127 runs batted in. 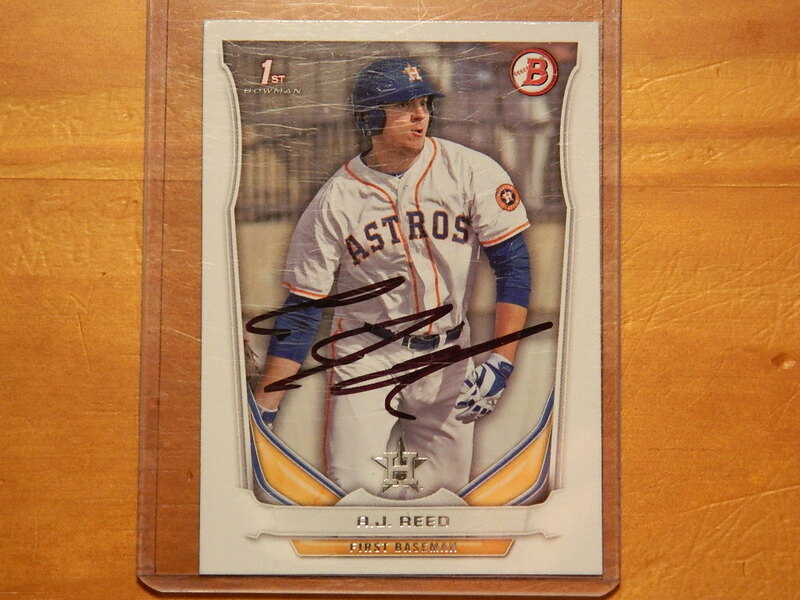 Another future star player in a long line of Astros players that has included George Springer and Carlos Correa in recent history, Reed will likely be making an impact for Houston in the very near future. He will definitely be worth keeping an eye on as the years go on. 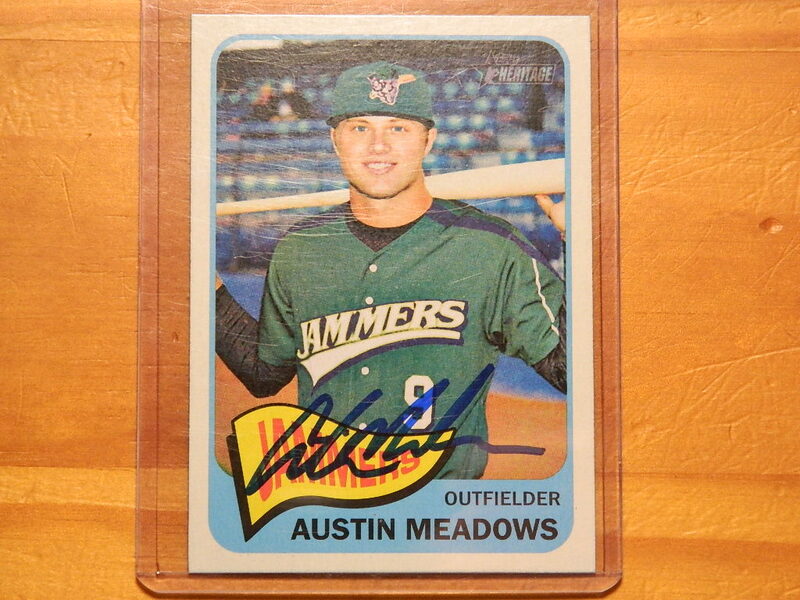 As the ninth overall pick of the 2013 draft, Austin Meadows has long been seen as a future major impact player at the big league level. Between two levels in 2015, Meadows hit a cool .310 to go along with seven homers and 55 RBI’s in addition to 21 stolen bases. While injuries have held him back in the past, Meadows can really light things up when fully healthy. While the Pirates’ outfield is currently well stocked, if Meadows becomes the player he’s capable of, he could be forcing their hand in the next few years. I still have autograph requests out for Josh Hader, Brett Phillips, Dominic Smith and Alex Reyes. When/if I get any of those back I’ll be sure to post another update. Although there’s no guarantee I’ll get any more back at all. We’re just a few days into the 2015 MLB postseason, but it’s certainly been exciting so far. A lot of unexpected and equally exciting things are sure to take place over the course of the coming weeks, and it will be something worth watching to see which teams perform as predicted and which teams fail to live up to their full potentials. However, regardless of that, I’m not going to discuss anything related to the playoffs in this blog post. Instead, I’m going to focus on the Arizona Fall League. More specifically, the through the mail (TTM) autograph requests that I’m sending out to various participating players. Taking place every October/November — this year it’s October 13th through November 14th — the Arizona Fall League (AFL) provides top Minor League players who didn’t get a full season of playing time, for one reason or another, a chance to show their organization what they can do, as well as provide them with a little more baseball experience. With several of this year’s MLB All-Stars being former AFL players, the best of the best certainly travel through the fall league. I usually only send off autograph requests in March, for Spring Training, and October, for the Arizona Fall League. Some people send requests to players throughout the season, however, I’ve never really wanted to do that — they’re too busy going around from ballpark to ballpark. In Spring Training and the Arizona Fall League players stay in the same relative area for over a month. In my mind, that provides a better chance of success. There is a ton of great talent in this year’s Fall League, but I’m not sending to all of them. That would take dozens of stamps to complete, and I simply don’t want to put the money and time into addressing all of those envelopes, only to receive back a few. Last year I sent six autograph requests to the AFL and got back just three. Therefore, I’m only sending to a select group of players this time around, beginning with Josh Hader, Lewis Brinson, A.J. Reed, Brett Phillips, Austin Meadows, Dominic Smith and Alex Reyes. All of those players have bright futures ahead in the big leagues. In addition, they all have a history of signing through the mail for people. While that doesn’t guarantee that they will sign during the fall league, I’m willing to take that chance. I may or may not send off a few more requests in the next couple of weeks, depending on who is signing for people. But no matter what, I plan to post an update every time I receive back a few autographs, as I did this year during Spring Training; assuming I get any autographs back at all. So be sure to check back over the next few months to see updates of the autographs I successfully receive.